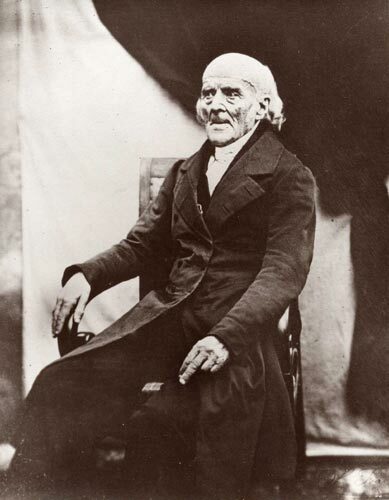 Christian Friedrich Samuel Hahnemann, best known for creating the system of alternative medicine called homeopathy. Spirit … this words denotes immaterial, something like a breath (from latin spiritus), non-corporeal, and it is often used metaphysically to refer to the consciousness or personality. If you believe that there is no spirit, that matter is all what exist, that even radiation is a kind of matter (massless particles), then you are a so called “materialist” and your mind is not able to comprehend the deeper things. But a physical man does not receive the things of the spirit of God, for they are foolishness to him; and he cannot get to know them, because they are examined spiritually. However, the spiritual man examines indeed all things, but he himself is not examined by any man. In contrast someone who believes that spirit is the base of everything will also dive into deeper layers of reality and the result is a profound insight in the nature of reality. There are few men in the field of science who has done pioneer work by refusing to obey to scientific dogmatism. One of them is Samuel Hahnemann, the founder of homeopathy. §9 - In the healthy condition of man, the spiritual vital force (autocracy), the dynamis that animates the material body (organism), rules with unbounded sway, and retains all the parts of the organism in admirable, harmonious, vital operation, as regards both sensations and functions, so that our indwelling, reason-gifted mind can freely employ this living, healthy instrument for the higher purpose of our existence. §10 - Without this animating, spirit-like power the organism is dead. §11 - When a person falls ill, it is only this spiritual, self acting (automatic) vital force, everywhere present in his organism, that is primarily deranged by the dynamic influence upon it of a morbific agent inimical to life; it is only the vital force, deranged to such an abnormal state, that can furnish the organism with its disagreeable sensations, and incline it to the irregular processes which we call disease; for, as a power invisible in itself, and only cognizable by its effects on the organism, its morbid derangement only makes itself known by the manifestation of disease in the sensations and functions of those parts of the organism exposed to the senses of the observer and physician, that is, by morbid symptoms, and in no other way can it make itself known. §15 - The affection of the morbidly deranged, spirit-like dynamis (vital force) that animates our body in the invisible interior, and the totality of the outwardly cognizable symptoms produced by it in the organism and representing the existing malady, constitute a whole; they are one and the same. The organism is indeed the material instrument of the life, but it is not conceivable without the animation imparted to it by the instinctively perceiving and regulating dynamis, just as the vital force is not conceivable without the organism, consequently the two together constitute a unity, although in thought our mind separates this unity into two distinct conceptions for the sake of easy comprehension. §16 - Our vital force, as a spirit-like dynamis, cannot be attacked and affected by injurious influences on the healthy organism caused by the external inimical forces that disturb the harmonious play of life, otherwise than in a spirit-like (dynamic) way, and in like manner, all such morbid derangements (diseases) cannot be removed from it by the physician in any other way than by the spirit-like (dynamic1, virtual) alterative powers of the serviceable medicines acting upon our spirit-like vital force, which perceives them through the medium of the sentient faculty of the nerves everywhere present in the organism, so that it is only by their dynamic action on the vital force that remedies are able to re-establish and do actually re-establish health and vital harmony, after the changes in the health of the patient cognizable by our senses (the totality of the symptoms) have revealed the disease to the carefully observing and investigating physician as fully as was requisite in order to enable him to cure it. §20 - This spirit-like power to alter man’s state of health (and hence to cure diseases) which lies hidden in the inner nature of medicines can in itself never be discovered by us by a mere effort of reason; it is only by experience of the phenomena it displays when acting on the state of health of man that we can become clearly cognizant of it. §148 - The natural disease is never to be considered as a noxious material situated somewhere within the interior or exterior of man (§ 11-13) but as one produced by an inimical spirit-like (conceptual) agency which, like a kind of infection (note to § 11) disturbs in its instinctive existence of the spirit-like (conceptual) principle of life within the organism torturing it as an evil spirit and compelling it to produce certain ailments and disorders in the regular course of its life. These are known as symptoms (disease). If, now, the influence of this inimical agency that not only caused but strives to continue this disorder, be taken away as is done when the physician administers an artificial potency, capable of altering the life principle in the most similar manner (a homoeopathic medicine) which exceeds in energy even in the smallest dose the similar natural disease (§§ 33, 279), then the influence of the original noxious morbid agent on the life principle is lost during the action of this stronger similar artificial disease. Thence the evil no longer exists for the life principle - it is destroyed. If, as has been said, the selected homoeopathic remedy is administered properly, then the acute natural disease which is to be overruled if recently developed, will disappear imperceptibly in a few hours. Last but not least, from the introduction … For as far the greatest number of diseases are of dynamic (spiritual) origin and dynamic (spiritual) nature, their cause (of illness) is therefore not perceptible to the senses.